Welcome to the first in a series of blog posts that I'm calling "See My City". As I explore San Diego with the fresh eyes of a newcomer, I want to share what I consider to be the highlights of the different neighborhoods and areas that I wander through. Everyone sees a city in different ways, and this is my chance to share with you what stands out to me. As always, I do that better with pictures than words, but I will be sharing place names and descriptions to serve as a bit of a reference point for anyone planning a visit to the city. I'm starting with the Gaslamp Quarter, a lively neighborhood at the urban core of San Diego. The area was initially developed during the Victorian Era and soon found itself as the epicenter of disrepute with many saloons and brothels calling it home. With the rise of the suburbs in the mid-20th century, residents started leaving the city, and the Gaslamp Quarter fell into disrepair. It wasn't until the 1970s that serious efforts were made to revitalize the area, work that continued throughout the next two decades. 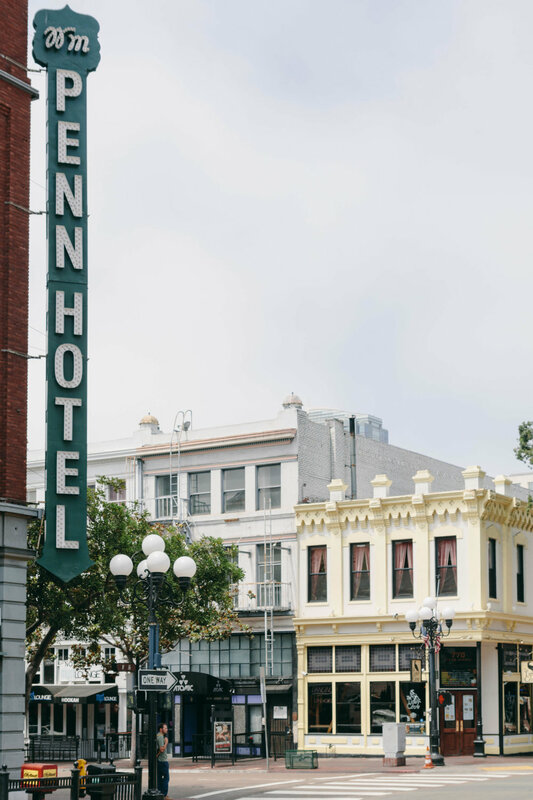 The Gaslamp Quarter is now a major entertainment hub, overflowing with restaurants and bars. But that's not why I go to the Gaslamp. (I'm happily past my bar scene prime.) I go to admire the historic architecture, much of which has been beautifully restored. 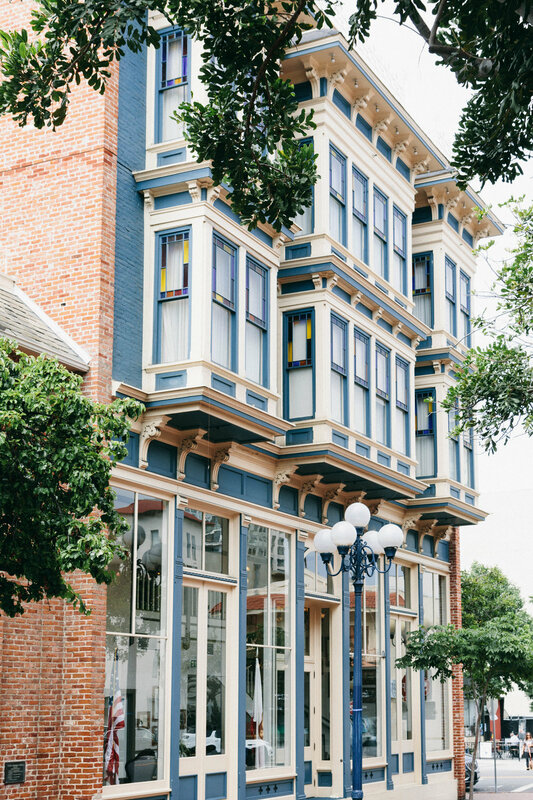 My personal favorite showcase piece is the Horton Grand Hotel, featuring not one but two historic hotels, the Grand Horton and the Brooklyn Kahle Saddlery (thus the horse that can be seen through the window in the photos below). The Horton Grand Hotel, at the corner of Island and Fourth Avenue. The two hotels originally stood in different locations and were each separately scheduled for demolition, but thankfully the buildings were saved, painstakingly dismantled piece by piece, and then rebuilt side by side and connected by a glass atrium. The Horton Grand provides a great retelling of its rich history, which only enhances the intrigue of this building. 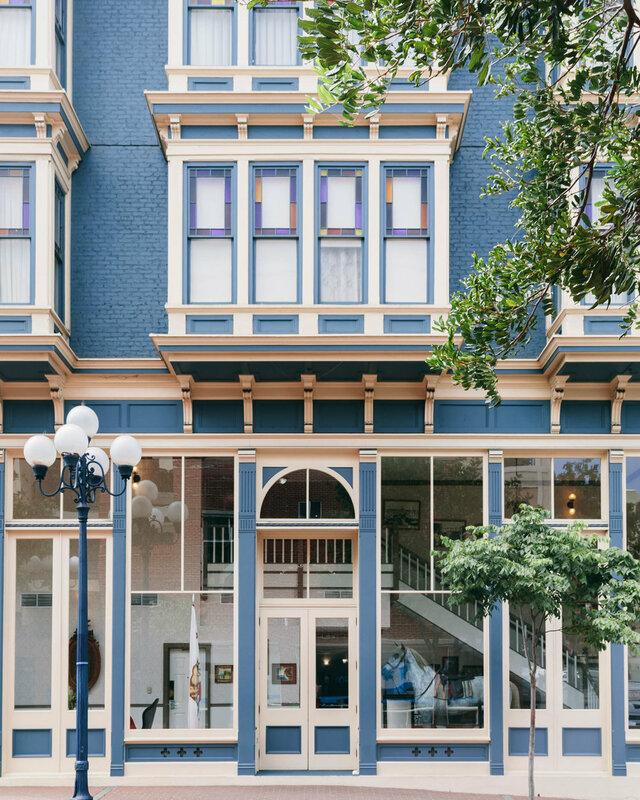 If you continue north into the heart of the district, It might be easy to overlook some of the architectural gems, as the street level of the Gaslamp features restaurant after restaurant. If you want to catch a glimpses of its historical past, you have to look up. I find that stepping back at intersections leads to the best discoveries. The Old City Hall, built in 1874 in the Florentine Italianate style. Left: Louis Bank of Commerce in the Baroque Revival Style (1888), which once housed an oyster bar frequented by Wyatt Earp. Right: NeSmith-Greeley Building in the Romanesque Revival Style (1888). The sign for the historic Hotel St. James (1913) can be seen in the background. 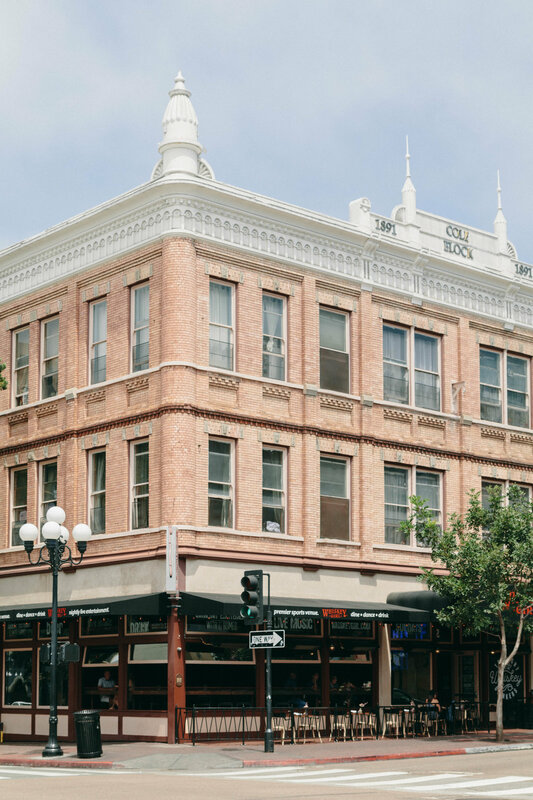 So while the Gaslamp Quarter might currently draw many tourists, conventioneers, and young residents to it for its lively atmosphere, there's a rich and lively past to be appreciated about it, too. Come, if you will, for the entertainment, but don't be afraid to make a little time for the history, too.